problem or has experience on this type of terrain. There will be about <2> miles of bushwhacking, most part to Inspiration Point. The trail exists but it is overgrown. WARNING: The very last portion of the uphill trail is short, but with a lot of loose rock and you will need to be alert for debris from hikers in front of you. 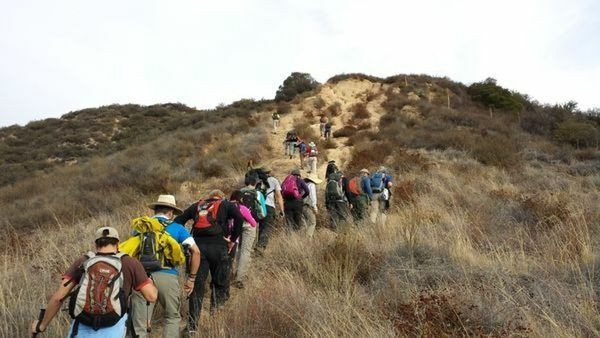 I’d suggest leaving a buffer space between hikers when ascending. Next we’ll be going near Dawn Mine and head up to the trail that will get us up to Tom Sloan Saddle. After a break we will start the bushwhacking portion to get to Inspiration. From Inspiration Point we will take the Castle Cyn Trail down to our cars. There is Poodle Dog bush in this area! Brown Mountain (4466 ft.) is as nicely positioned for scenic views as a mountain surrounded by higher peaks can be. 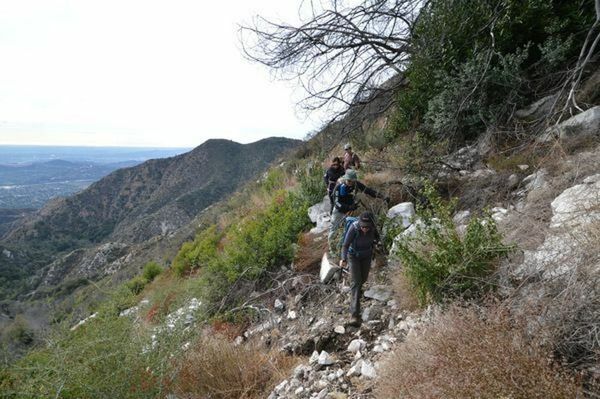 Its long summit rises between Millard Canyon and Bear Canyon in the front range of the San Gabriel Mountains. This mountain is named after the mid-19th American abolitionist, John Brown. 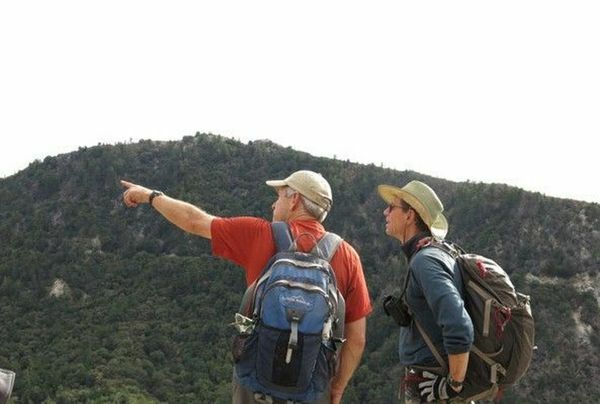 It seems that his two sons lived near the head of El Prieto Canyon in the 1880’s and spent a lot of time exploring the front range. To honor dear old dad, the sons named this mountain after him. For a peak under 5,000 feet, you get your money’s worth of panorama at the summit. Looking north, beyond Bear Creek, your eye catches the distinctive shape of Strawberry Peak and Josephine Peak to its left. To the east stand San Gabriel Peak, Mt. Markham and Mt. Lowe. To the west is the magnificent chasm that is the Arroyo Seco and across Angeles Crest Highway, you can make out the antennas of Mt. Lukens in the distance. To the south is Millard Canyon and beyond that, a usually hazy view down into the San Gabriel Valley metropolis. Directions: We’ll meet at the gate to the Cobb Estate at the north end of Lake Street which ends at Loma Alta in Pasadena. Free parking is on the street and depending on availability could require some extra walking. Exit the 210 Fwy at Lake St in Pasadena and head North. No special parking passes are require here.